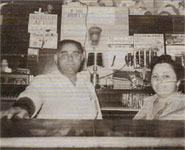 Started in 1944 by Antonio and Josephine Palmer, Palmer's Tavern has survived, under one name or another, in the Hibbing Park Addition neighborhood for over 65 years.With a glass of Grain Belt beer at 10 cents, pepperoni sticks as favorite bar snack and their famed porketta sandwiches, Palmer's was a local gathering place for the hard working miners of the iron range. The beer distributor of the day wouild tell you that the kegs they picked up were as heavy as the ones delivered due to Tony's need to "flush back" the lines and maintain the cleanest and freshest tasting beer in town. 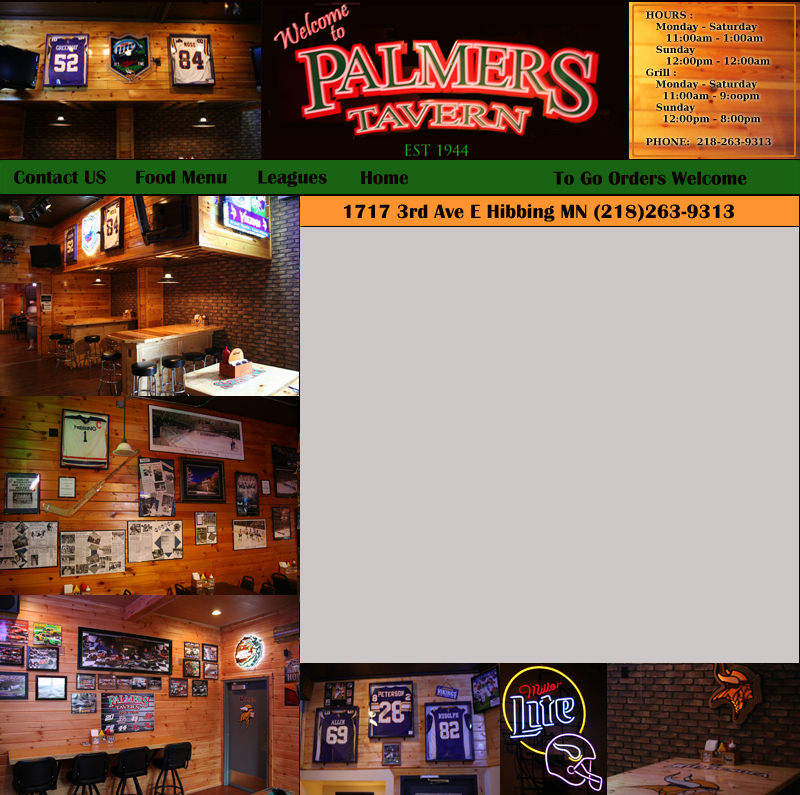 Today, Palmer's Tavern is owned and operated by their granddaughter Sandra, who continues their tradition of Italian hospitality in a friendly, clean enviroment.